What is feminism? Why does it still matter? What exactly does intersectionality mean? 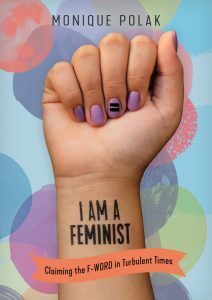 In order to answer these (and many other) questions, I Am a Feminist first examines the history of feminism and then addresses the issues girls and women continue to face today. The book also looks at the ways in which people, especially young people, are working together to create a world where gender equality is a reality, not a dream. The author shares stories about the courageous individuals who have made a difference in the lives of women and girls worldwide. From suffragists to the #MeToo movement, I Am a Feminist encourages readers to stand up and speak out for equality and justice.